Now, I am going to tell you about this cellphone on one condition, please don’t use this in a foreign country! This very harmless little phone that never wronged anyone is housed in a fatal facade! 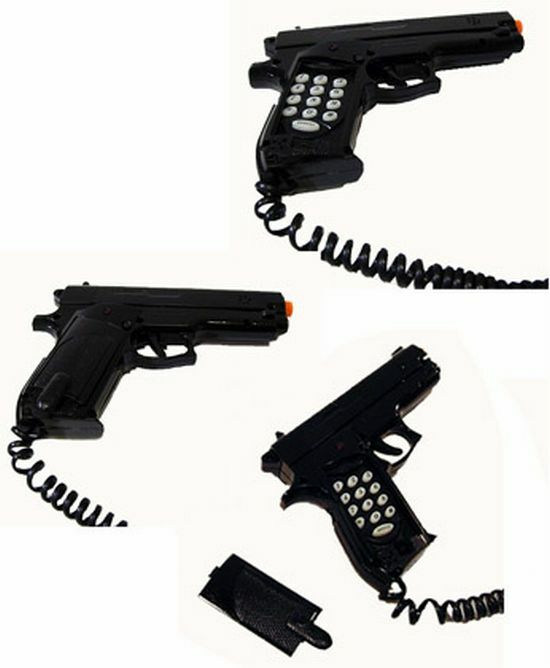 The pistol look-alike phone can cause you more worries than bad range with the onlookers avoiding you like some kind of maverick when you put a pistol to your ear and carry out a romantic conversation. This Chinese invention can be rather fun for scaring people momentarily but please use it in your hometown so that they can check for the past records to confirm your sanity and view this cellphone choice as a one-time deviation!